Doesn't Lola look like this dog modeling a wig. I assure you I wouldn't allow my dog to wear such a thing...maybe. Well unless Santa brings it. 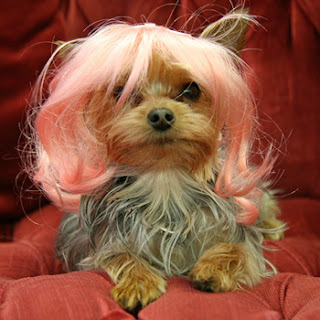 So, I definitely won't purchase a dog wig today or tomorrow.